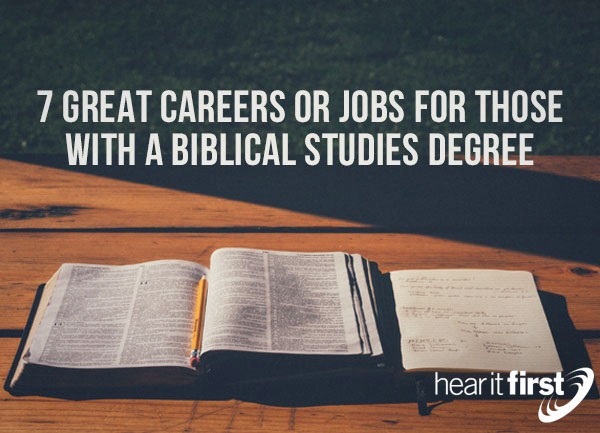 Here are seven great careers or jobs for those with a college degree in Bible studies. The most obvious job for a person with a Bible study degree is that of a pastor or minister. When a pastor or minister attends a Bible study program at a college or university, they are laying the foundation for a pastor who can teach the Bible, who can expound expository, verse-by-verse preaching, and who can be well-equipped to feed the flock of the Good Shepherd as they are commanded to do. The Apostle Paul told Timothy to “Do your best to present yourself to God as one approved, a worker who has no need to be ashamed, rightly handling the word of truth” (2nd Tim 2:15), and no worker or handler of the truth, which is the Word of God, can “rightly” handle “the word of truth” without being trained in the Word of God. Similar to a pastor’s job, a biblical counselor or social worker reaches out to people who are hurting and who need good, solid, biblical counseling, but counseling not based upon human reasoning or logic, but rather, upon the solid-rock of God’s truth found in the Bible. The very beginning of wisdom isn’t a college degree, but the fear of the Lord (Prov 9:10), and without having a godly fear or deep, reverential respect for God and for His Word, we cannot really help someone. Bible study degrees can lay a great foundation for being a marriage counselor or social worker who had a heart for God. There are tons of jobs out there for those with Bible study degrees, either an associates, a bachelors, a masters, or a doctorate, so focus on getting a good, solid biblical education and then see what doors God will open up for you. The number on non-profit agencies that need men and women with Bible study degrees is almost unlimited. Such jobs can be found at the Salvation Army, Goodwill, the DAV, and other such jobs were you can serve God by serving people, and even includes such jobs as a worker at a homeless shelter. This is my job. I am a bi-vocational pastor that has a college degree in Bible studies and I use this biblical education to write for others and to write for my own blog. The foundation of any journalist or writer that seeks to serve God should include at least a minor in Bible studies or at minimum, an associate’s degree in Bible studies. This equips the writer or journalist with solid, biblical knowledge with which to write on subjects such as salvation, evangelism, sanctification, or other such biblical topics that will help the Christian grow in the grace and knowledge of our Lord, Jesus Christ (2nd Pet 3:18), but you cannot grow unless you are abiding in the Word on a regular and consistent basis, without which, we can do nothing (John 15:5). At first glance, it might seem stranger to have a Bible studies degree be the foundation for a business management or marketing job, but what this degree might tell your employer is that you have the Word of God as the foundation of your education and the values and morals that go alone with a degree in Bible studies are sorely needed in the world today where corrupt business practices seem the norm and not the exception. I almost got a job years ago at a museum and the director of the museum was impressed that someone with a Bible education background would be interested in a job at a museum, but I told her that history and the Bible are similar, as history shows us that apart from God, a nation does not thrive for long but a nation Whose God is God the Father, and lives a life that is pleasing to God brings blessings upon a nation. Of course, a nation that turns its back on God is cursed itself, so it’s easy to see the connection in history between nations that followed the principles and teachings of the Bible as opposed to those who are atheistic in nature, therefore a person with a Bible study degree would be a good fit for a job at a museum. The job of an educator is served well with a Bible study degree as the foundation of their education, particularly at a private or religious school because they are not like most public schools in the world that strive to avoid any reference about God, but rather, most religious or private schools stress a biblical foundation for teaching their children, and so this is a good fit for a person with a Bible study degree seeking to use their biblical education in the most useful manner possible. Some children who grew up later have said that one of the greatest influences in their life was a teacher who gave them the patience, love, and kindness they desperately needed. There are fewer jobs that are more rewarding than being a teacher, a teacher’s aide, or a para at a school. This job can be a huge difference maker for a child and even more so with a degree in Bible studies. Whatever job you are seeking with your Bible study degree, or if you’re just beginning your education in Bible studies, you have a sure and steady foundation upon which to build a life, and a Bible study degree will serve you well, wherever you go and whatever you decide to do. Nothing is ever wasted when studying the Word of God, and the returns in a person’s lifetime are simply priceless, particularly with those who you touch for eternity. Nothing ever bad comes from learning more of the Word of God and then passing on that biblical knowledge to the next generation, so whether your desire is to be a pastor, a counselor, a worker at a non-profit agency, a writer or journalist, in business or marketing, a museum worker, or an educator, lay that foundation of a good, Bible degree, because it will come in handy later in life in so many ways and for so many people, including yourself.